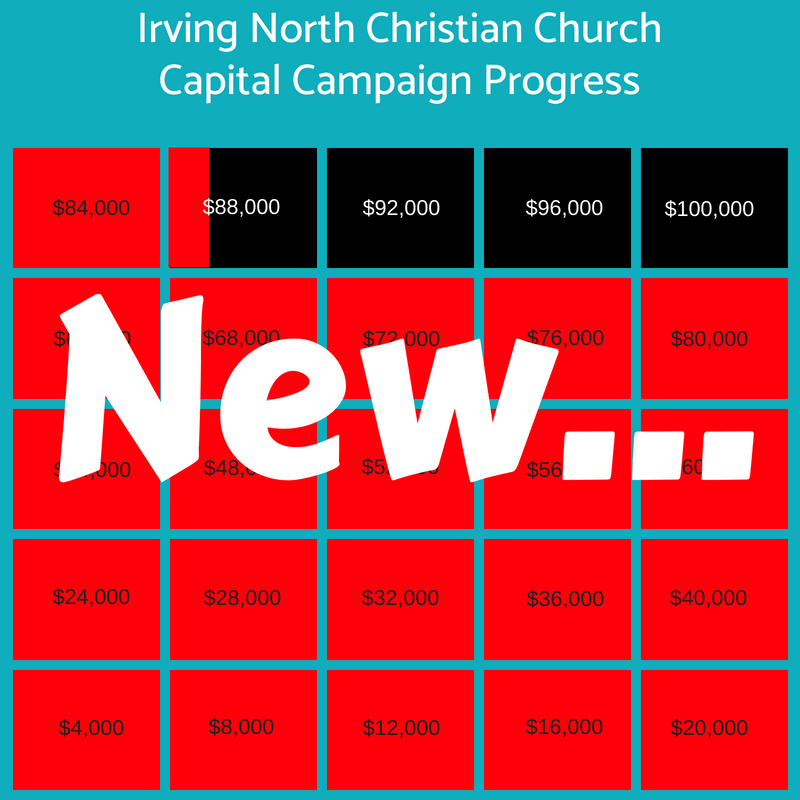 We are well on our way to meeting our capital campaign goal of $100,000! Our capital campaign is helping us do a whole lot of NEW... things! We are renovating the sanctuary to make it a more open, multi-purpose space that will allow for creative worship experiences, community events, special speakers, and so much more! Help us reach our goal by clicking on the donate link at the top of the page, and selecting "capital campaign" as part of your donation. Thank you being a partner in our new... day. Are you new to Irving and looking for a church? Haven't been to church in a while and missing your relationship with Christ? Had a change in your life and feeling lost? Then we invite you to join us at Irving North Christian Church. Meet people where they are. Treat people with dignity. Love and kindness go a long way.